Weekly walking meeting starts April 4!! This meeting is seasonal, and continues weekly through September. July 12th registration starts at 4 PM and the program goes from 7 PM on Friday July 12th to 1 PM on Sunday, July 14th. On May 16th, 2019 the registration fee goes up to the standard $125. Exciting news! 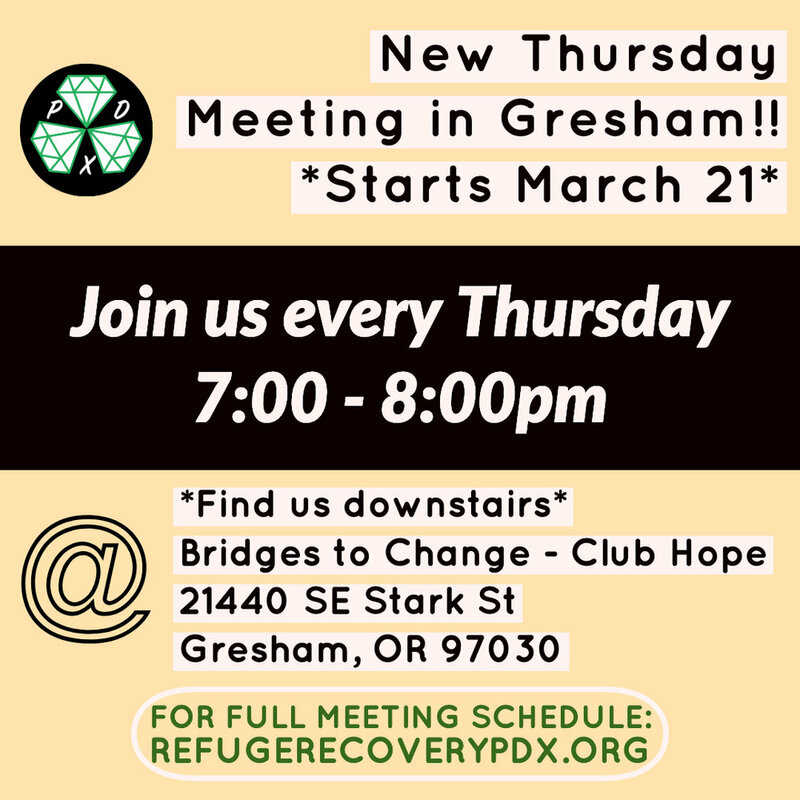 A member from the Portland Sangha is creating the Refuge Recovery Hiking Club and our first hike will be this April. There will be hikes every month - for now its looking like the 2nd Saturday of every month for longer hikes. There is possibility of also having shorter weekday hikes on Tuesday or Thursday. To stay up to date, please make sure you are signed up for the newsletter! (scroll down to the bottom of this page) Info about the first scheduled hike will be coming soon. Hope you’re as excited as we are!! This week: Dharma Rain meetings in the Library!!! The Dharma Rain meetings will take place in the Library (Uji) next week. It’s the trailer building across from the main Zendo. The Dharma Rain sangha will be on retreat those days, so please be mindful not to disturb their process. Meetings will be held weather permitting. Women's Meeting: New Year's Day Meditation! 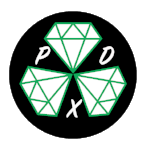 Hello my PDX Ladies!!!! Our Women's meeting is continuing tomorrow evening at the Alano Club at the usual time 7pm 💜 Looking forward to seeing you all and guiding my sisters through meditation on New Year's Day! 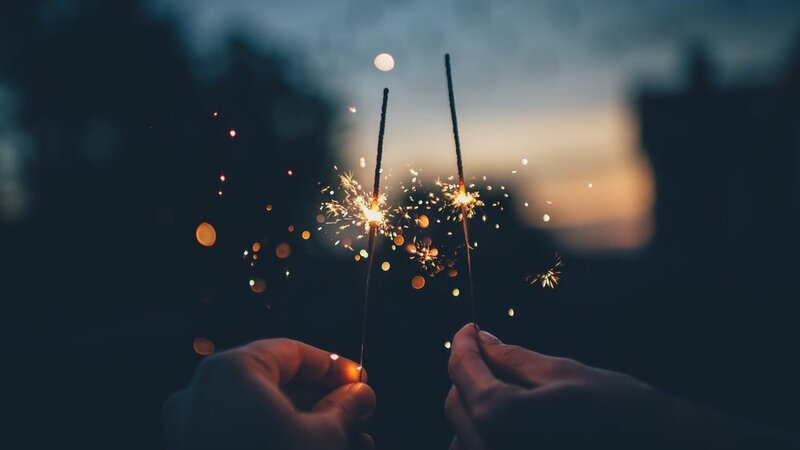 Hope everyone has a beautiful and safe New Year's Eve tonight. Reach out to your people. Set intentions. Share the love. Let's leave this rollercoaster year behind us with peace and respect! Tabor Space CANCELLED this SUNDAY!! Instead, Check out the 3 Jewels Yoga Meeting or make sure to gather with friends for some fellowship! 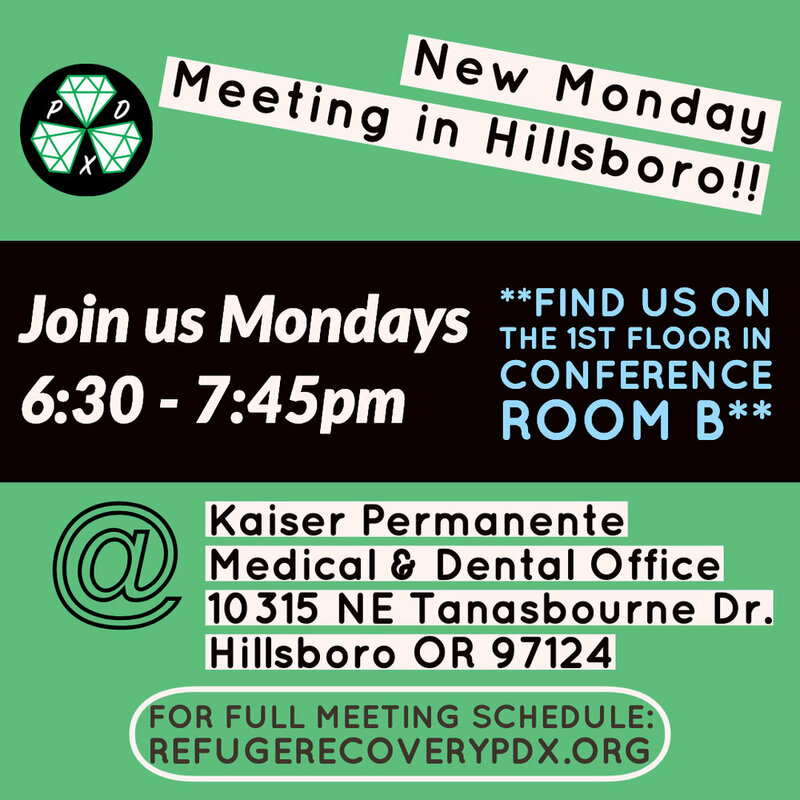 This year the holidays fall on Mondays and Tuesdays so here is the list of meetings that will be operating. This is subject to changes and additional meetings so stay tuned! Dec 24 Xmas Eve - Open -In the Zendo! Hope everyone finds warmth, peace, and ease this holiday season!